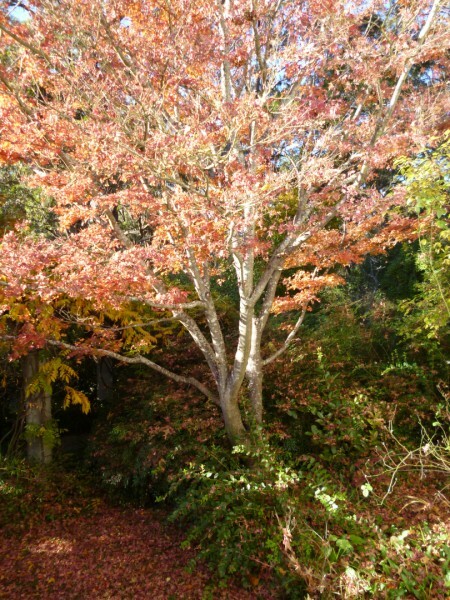 I’ve had adventures this month and would like to share those that involve a persimmon tree, activities in the studio and some exploration of the area. 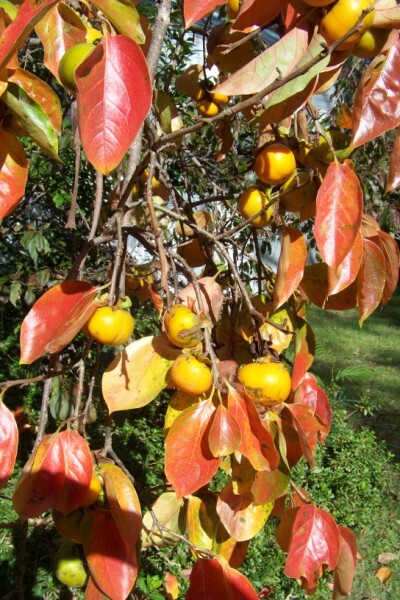 I came across a persimmon tree in the grounds of Sturt. My thoughts turned to natural dyes but I had to be quick to beat the local wildlife. 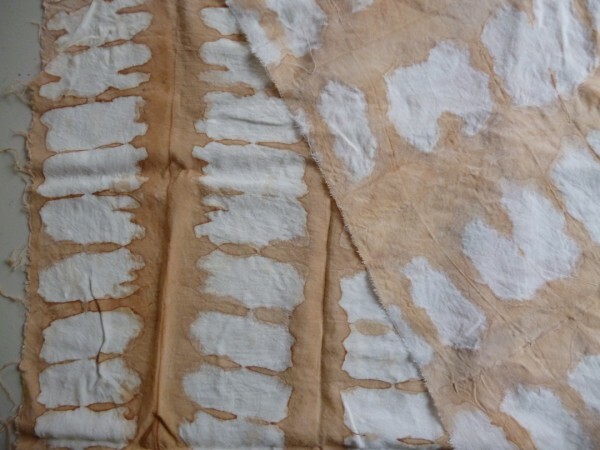 I remembered snippets of information of how the colour got progressively darker with age, how the Japanese use it to mark shibori pattern and common knowledge of how persimmon juice stain is hard to remove. A Google search lead me to this web site http://www.jejuweekly.com › Arts/Culture › Tradition. I used this as a basis for my experiments. 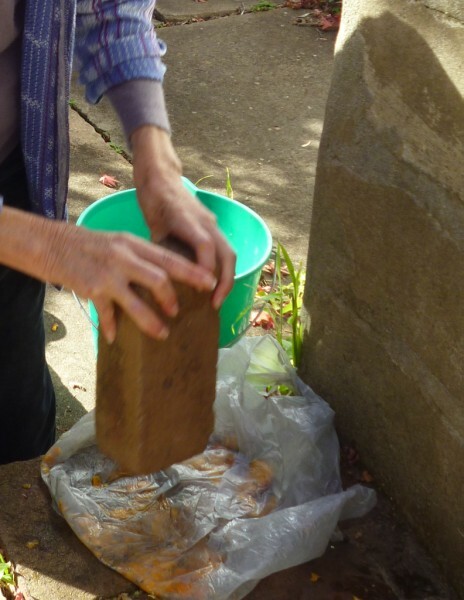 Firstly post haste to the persimmon tree and I picked a quantity of green persimmons, crushed them with a brick and collected the pulp and then immersed a rayon fabric which I had folded and resist wrapped for a couple of hours. I then removed it from the bucket and carefully unfolded it before exposing it to the sun. I must admit that at this stage it was pretty uninspiring. The “dyed” area was vaguely more off white than the resisted area. Day 2 showed more promising results and I experimented by tearing the fabric in half, wetting half and exposing both to the sun. Day 3 and I wound a warp and bound off sections before putting in the bucket of crushed persimmon that I had kept. By this time the cloth was becoming interesting. I continued to wet both fabric and put them out in the sun. The dyed area had an interesting dark halo around a pinkie brown dyed area. Off to the tree again and I collected the last of the uneaten persimmon for a final batch. There wasn’t much left. The possums and Currawongs (native birds) were having a feast! I had decided that the results were of sufficient interest to continue experimenting. Each day the fabric was getting darker. 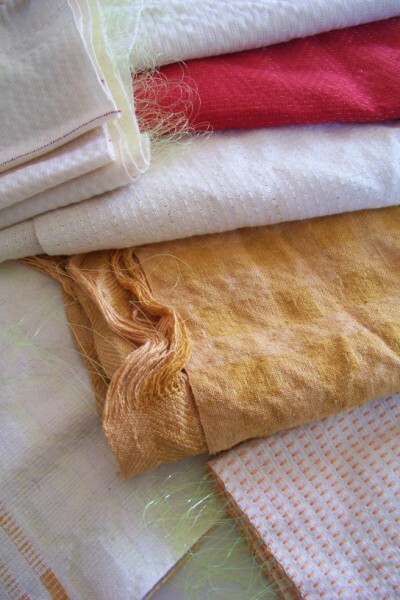 It was interesting to note that the fabric that I had been wetting out each day was much darker than the other. At this stage I had also noted that the warp was colouring unevenly according to how much each thread was exposed to light. I have decided that it would be best to weave the yarn and then recommence the wetting and exposure to light. 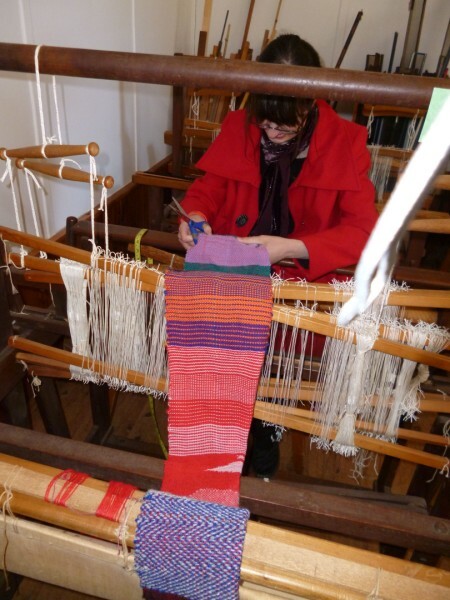 In the studio there have been a number of projects finished and removed from the loom. It is always an achievement to complete a project and each is marked with due pomp and ceremony. Firstly a tapestry was completed. It was inspired by a Grandson’s drawing and will be turned into a floor cushion. 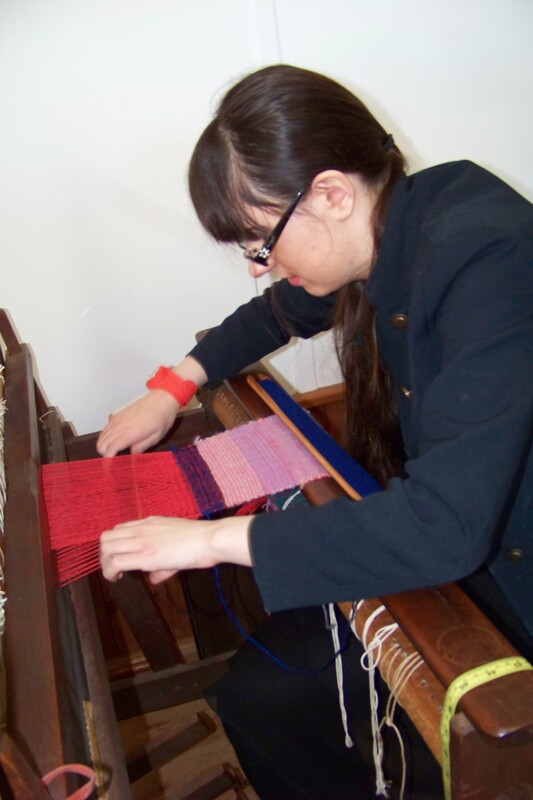 There was great excitement when a beginner weaver cut her first warp from the loom. The warp explored many design approached to a plain weave threading. What an achievement! Another new weaver and a floor rug is cut from the loom. This will be a lovely rug once the finishing is complete. And a weaver escaped with her hammock under her arm without me remembering to get a photo but those in the studio will look forward to seeing it completed. There is a lot of finishing to be done. Over the month I have been working on a collection of Sotis samples. 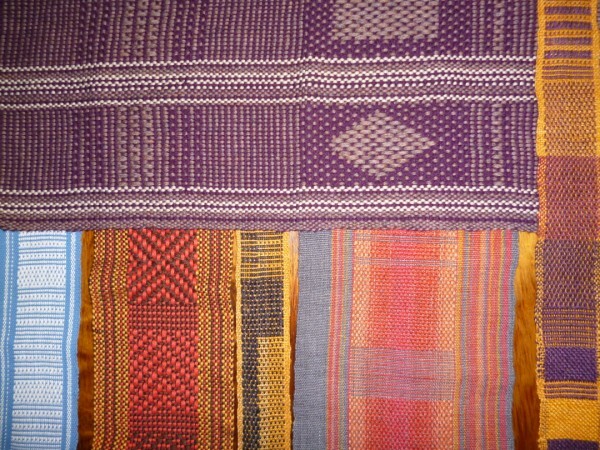 Sotis is a warp dominant textile from West Timor that uses colour and weave, thick and thin and is warp manipulated. It is not a supplementary warp technique. 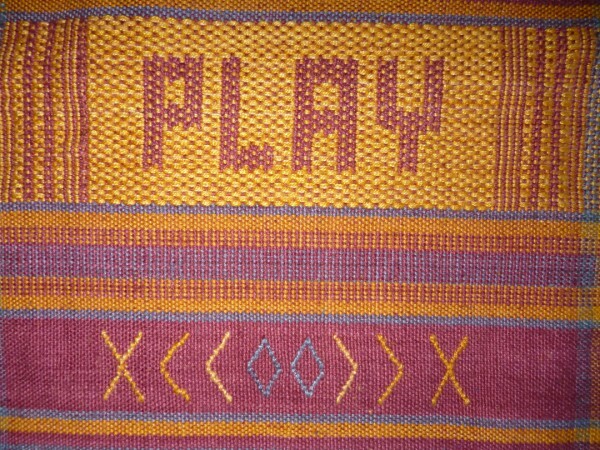 I always stress the importance of “play”. What could be more appropriate than to use the word for a pick up design when doing a bit of experimenting? In addition I have done some wonderful bush walking. 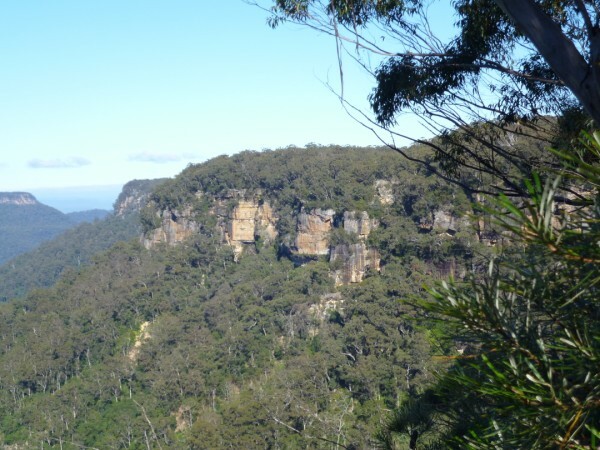 One of my favourite places is Fitzroy Falls, a national park on the escarpment. 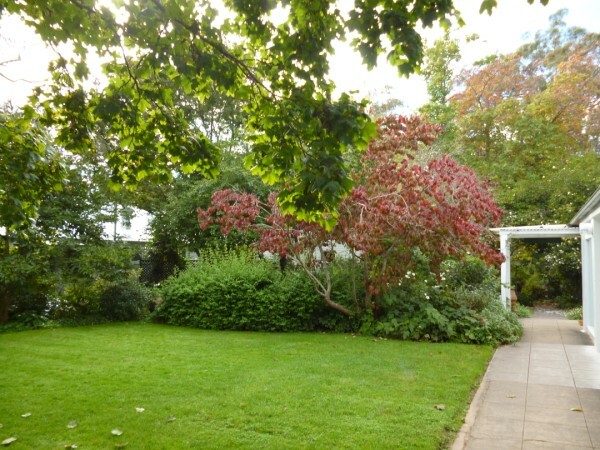 And of course there are the gardens at Sturt…. Finally here’s a late afternoon visitor. 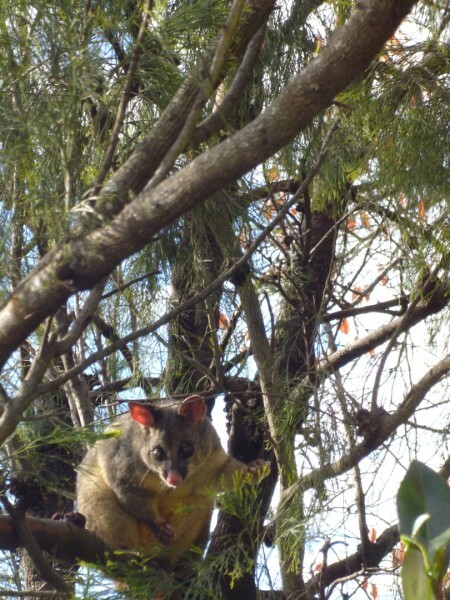 The possum has been appearing in a group of trees outside the studio door mid afternoon. Possums are usually active early evening. It would also be one of the persimon eating culprits, but I guess everyone’s entitled to a bit of tucker. I’m back in the studio at Sturt. When I walked into the studio, it was very familiar territory. Before I share what I have been doing, I’d like you to meet some of my Tuesday’s class. They are working on a variety of individual projects. This is Tuesdays’ first warp. On her 18th birthday she started a wonderful journey. 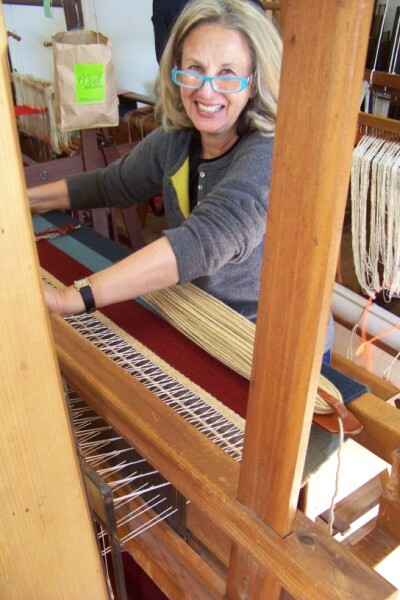 It was the day she started weaving. What a birthday! 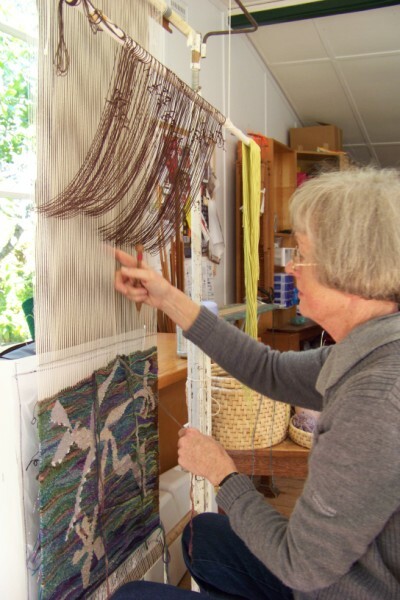 This is her third day of weaving in the studio. Well done Tuesday! 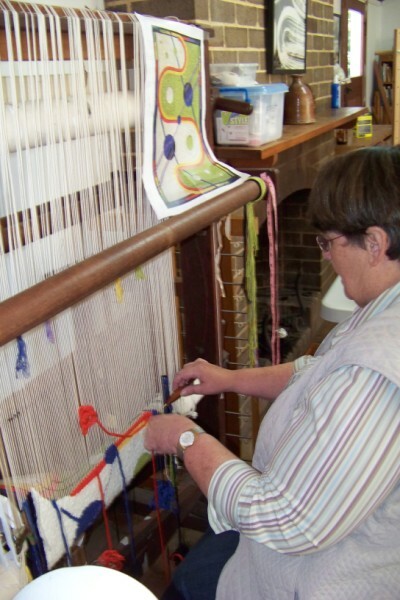 Judy is preparing her loom and busily spinning wool at home to weave her rug. Maureen is working on a hammock. Judy is working on her first floor rug. She has also hand dyed her yarn. 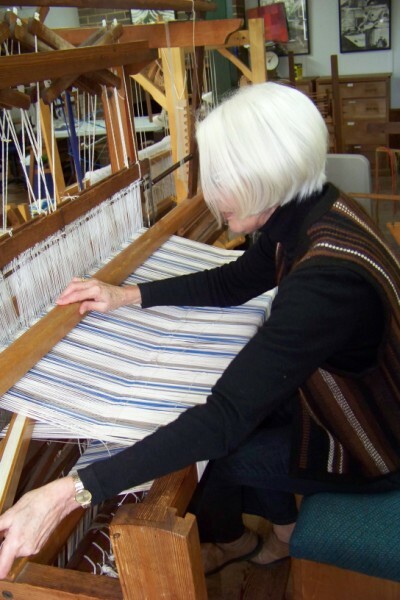 I have two tapestry weavers in my class. 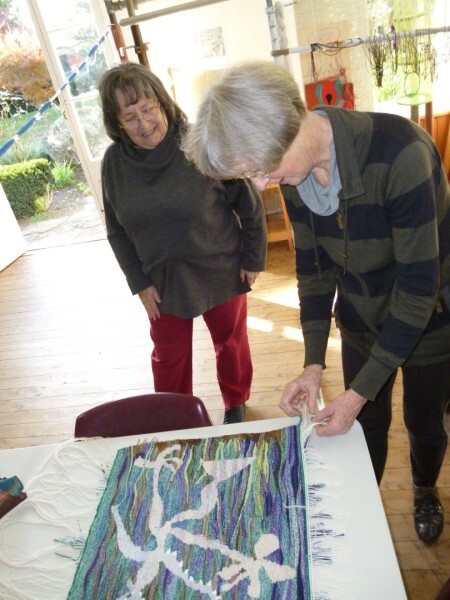 Dimity Kidston has been their tutor for the last term. They are working on completing their tapestries. Both have enjoyed working with Dimity and are looking forward to continuing with her again. Sturt and those working in this medium are fortunate to have access to such an accomplished tutor. Ann has been challenged by circles and lines. Sara has interpreted her grandchild’s drawing. What have I been doing on my residency? Firstly my exhibition continues. It is the last week next week. 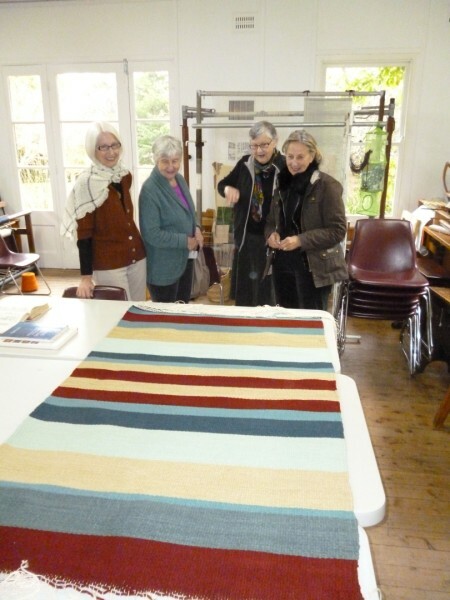 I have been enjoying company dropping into the studio after they have seen the exhibition: some are weavers, some are travellers, some have an appreciation of textiles and design while others just want to have a yarn. It has been fun. I have been busy working in the studio and have completed a collection of woven shibori pieces. 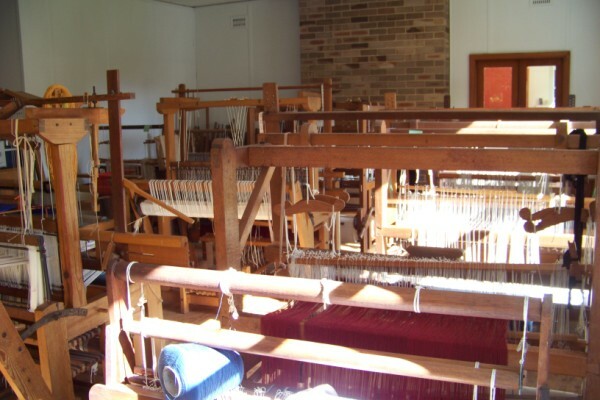 The challenge for me while I weave at Sturt is to design using the looms that are here and most specifically design for a minimum of shafts. 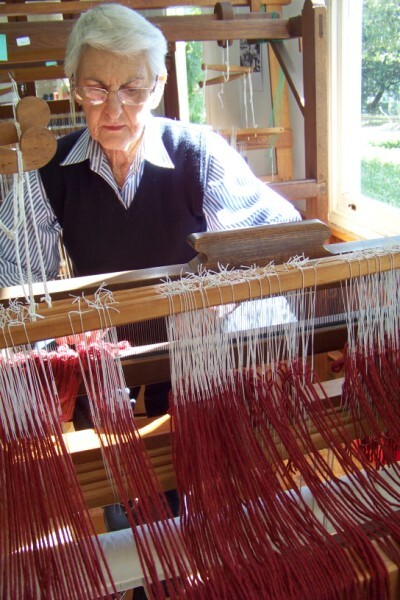 The maximum number of shafts available on any loom is 8. 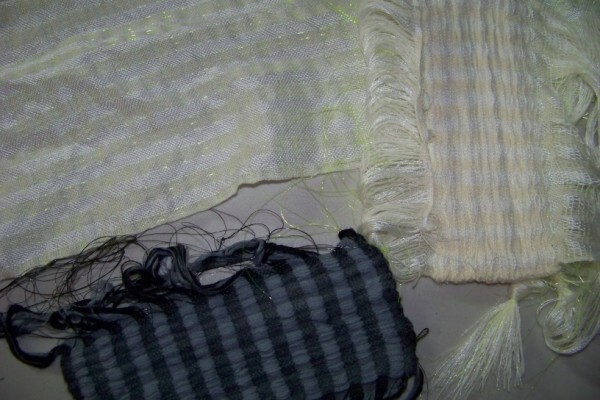 This image shows the progression of weaving with fishing line being woven in for the resist, a pulled up sample and then after dyeing has been completed. 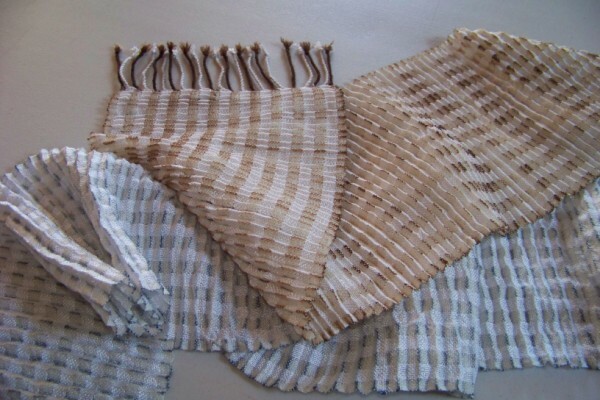 This series uses the absolute minimum of shafts for woven shibori : 3. 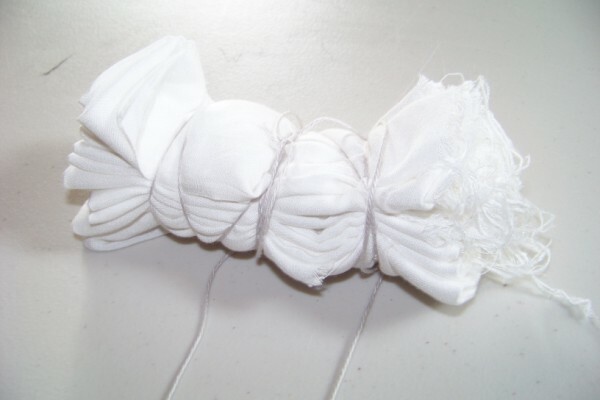 The finished sample has permanent pleats as well as a dye pattern. 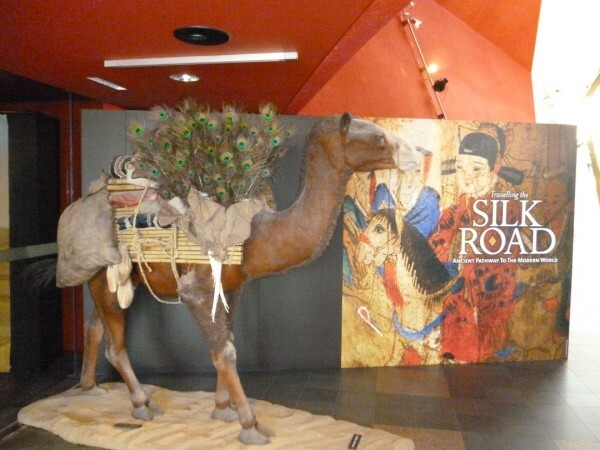 For those who are going to Canberra, Travelling the Silk Road is on show at the National Museum of Australia. I caught the exhibition when taking a friend who had visited to the airport. 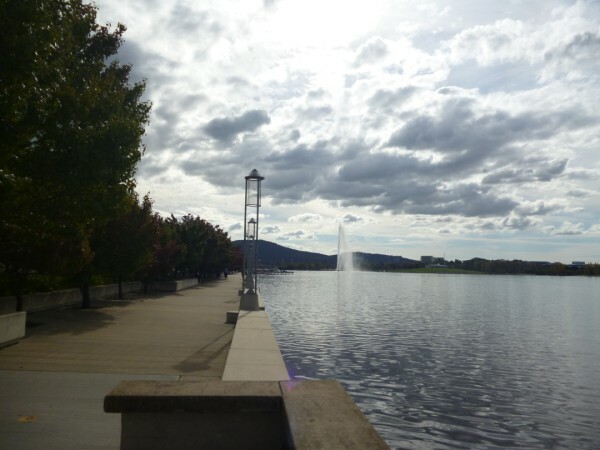 A visit to Canberra also means I get to spend time by the lake. It is a very beautiful time to be visiting Canberra. 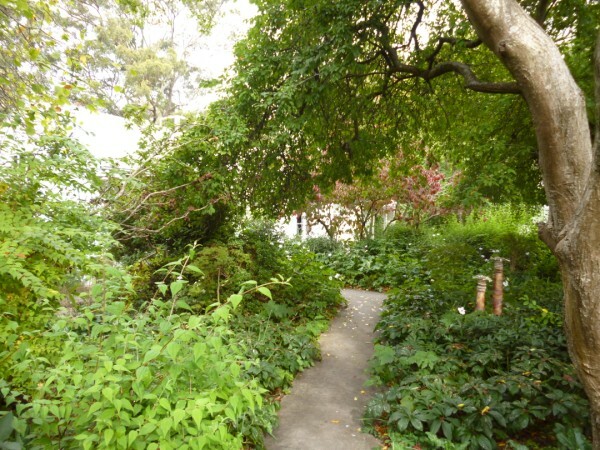 The gardens at Sturt are again spectacular. Here are some views of different sections around the studio. 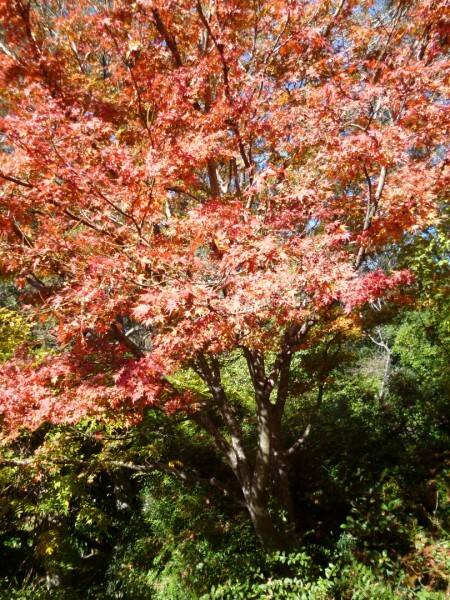 You are currently browsing the Kay Faulkner's Blog blog archives for May, 2012.